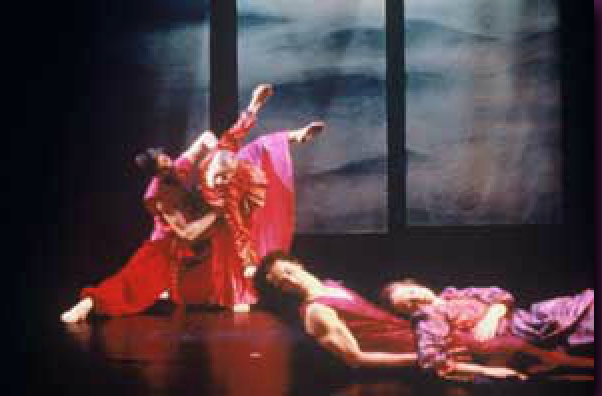 Songs of Tagore melds the vision of choreographer Jonathan Hollander with the words, music and spirit of India’s legendary poet Rabindranath Tagore. This work, created over two decades ago, strikes a chord with audiences even today. Excerpts have been presented in New Jersey (Rabindra Mela) and Pennsylvania (sponsored by Pragati). Its schema follows a progression of songs written by Tagore on the subjects of The Seasons, Love and the Spiritual Aspect. Songs of Tagore represents the first time that a Western choreographer has created dances to Tagore’s songs. Having led the way to the rapprochement between the dance of India and American modern dance, with songs of Tagore, choreographer Jonathan Hollander is recognized worldwide for his creative depth and nobility. From its inception in 1995 and throughout its nearly 75 performances on three continents, Tagore has been performed by a cast of six Western-trained dancers, a South Asian guest dancer, and renowned Bengali singer Sanghamitra Chatterjee and her husband, the tabla virtuoso Samir Chatterjee, who served as musical directors for this celebration of physical and transcendent imagery. 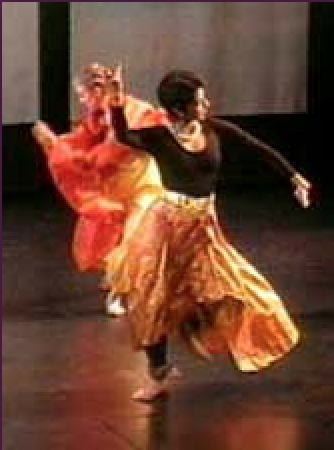 The songs are performed in the original Bengali (usually with English translations provided in the playbill). 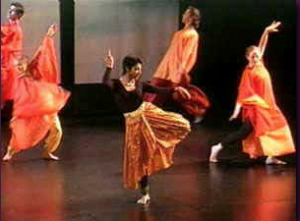 Songs of Tagore has been presented in over 50 performances throughout the United States, India, Sri Lanka, Hungary and Poland. 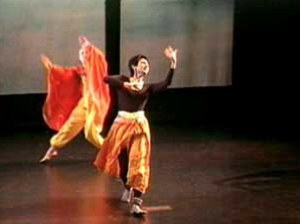 It has attracted stellar reviews, standing ovations and full houses at venues such as The Smithsonian Institution (Washington, D.C.), Asia Society (New York City and Houston, TX), The Music Academy (Madras, India), the Kala Mandir and Rabindra Sadan (Calcutta, India) Maly Theatre (Warsaw, Poland). Tagore was presented in 17 cities of India and Sri Lanka in 1997, with the sponsorship of Oberoi Hotels, Air India, Indian Airlines, Colgate-Palmolive, Citibank, State Bank of India, Deutsche Bank and Air Lanka in cooperation with the Indian Council for Cultural Relations (ICCR), Ministry of Cultural and Religious Affairs of Sri Lanka. American composer Gerald Cohen has created instrumental interludes to form a continuum joining the groupings of songs and supporting the choreography. Cohen worked closely with the Bengali singer Sanghamitra Samir Chatterjee, for months, imbibing the spirit of Tagore’s unique musical language. Two distinguished Indian artists created the sets and costumes: painter Anil Revri of Delhi, whose work has been featured in New Delhi galleries; and designer Sandhya Raman, whose fashion house Desmania is attracting favorable attention throughout India. Lighting design by Pat Dignan. Guest artists have included Mallika Sarabhai, Sucheta Chapekar, Rajika Puri, Manjari Chandrasekhar, Manisha Misra, Luna Pan, Rathna Kumar and Jothi Raghavan.